Anyone who’s attempted the infamous smoky-eyed look knows there’s a fine line between ‘Smoky Eyes’ (desired result) and ‘Punched In The Eyes’ (much, much less desired look). Being one of the classic go-to’s in eye makeup means you want to get this look just right. To make matters worse it’s definitely not a ‘grab and go’ kind of technique. It’s more of a ‘give it ten tries’ kind of thing. It enhances your eyes and gives you that sultry, night out feel – but it takes time to perfect. Finding the right eyeshadow plays a big role in perfecting the smoky-eyed look. You want a product with a strong pigment but little fallout (a tricky balance). The blend-ability of your eyeshadow rather than the texture is also key in making your eyes look seductive and not smashed. Urban Decay is renowned for creating durable, quality eyeshadows. 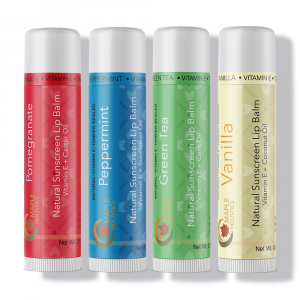 Their products are long-lasting, and the colors are vibrant. When trying to achieve the perfect smoky eye, what’s better than having a palette dedicated to helping you out? Still not sure what the difference is between sultry smoky eyes and black-eyed smoky eyes? Let’s take a look at the most successful celebrity looks. If you want to rock a smoky eye, there’s no greater role model than cat-eyed Mila Kunis. She shows us how to transition this look seamlessly from day to night. To get Mila Kunis’ signature smoky eyed look keep the eyeshadow inside your eye crevice. It’s less dramatic which means you can wear it for a more casual look, not just on a night out with your girlfriends. With her mesmerizing smoky eyes, Selena Gomez shows us how to step up this classic look. If you want something edgy but flattering, then Selena Gomez is the girl to keep your (smoky) eye on. Rihanna’s smoky eye is one of my favorites. It’s dramatic, exaggerated, over the top, striking… (you get it, I’m slightly obsessed). I’d recommend this look for someone who’s looking to get that added depth in their already extensive beauty regime. 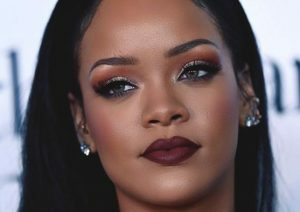 Paired with dark lips and a stark bronzer Rihanna is the queen when it comes to perfecting that night-out look. Any attempt at eyeshadow requires a significant amount of blending technique. Amanda Seyfried shows us how to ditch that and own those stark lines (and make them look intentional). The cat eye is a well-known, coveted term in the beauty world. While it’s usually achieved through the perfect eyeliner flick, Amanda uses her actual eyeshadow to provide the same effect. This opens up the eye and creates a much more dramatic look. I would save this for after I’d perfected a subtler smoky eye, such as a Mila Kunis’ classic – but it’s definitely on the wish list. 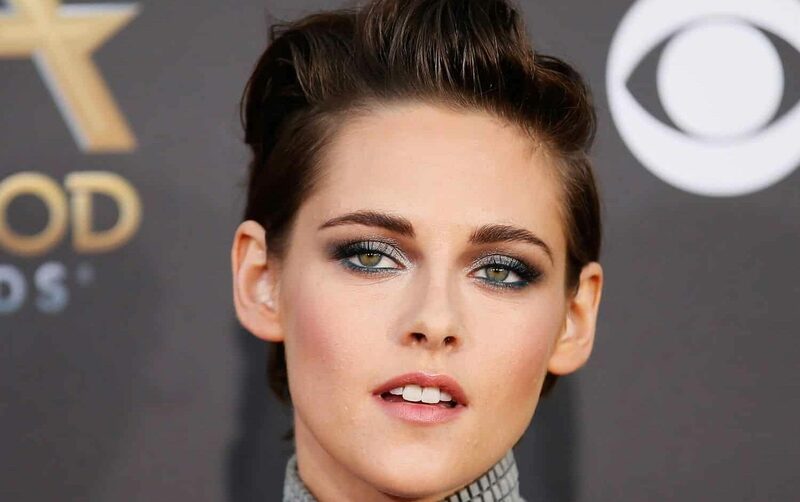 I have to admit that Kristen Stewart’s signature smoky eye might realistically be the only smoky eye I can pull off. The motto for this look is “the messier the better” – which is basically a description of my life. Part of Kristen’s charm is that she’s so effortlessly gorgeous. This look would be perfect for a casual date or even a busy day in the office. I know it sounds lame but the first thing I noticed when I went to use this palette was the dual brush that came with it. On one side was a pencil type brush and on the other a blender. I tend to use the same brush for everything, or worse, my fingers to save time. I love that Urban Decay provides the tools to achieve the desired effect. The palette itself contains twelve different shades ranging between shimmery hues, satin tones and some matte alternatives for an everyday look. This covers all your bases if you want to push your boundaries to something you wouldn’t usually go for. My personal favorites are any of the glittery shades. The pigmentation on the shimmery eyeshadows is particularly good. Some glitter-based eyeshadows lose the sparkle within a couple of hours. These shimmery shades have that balance of being super glittery while still holding the color really well. It’s the dream. The colors themselves have cooler undertones which are great for a smoky eye. There’s also lighter shades in there so you can transition your look from day to night. I usually do my eyes first when starting my makeup for a night out to minimize any fallout. (I just sneakily cover it over with my foundation afterward). With this palette, I was greatly surprised by how little fallout there was! And by little, I mean, like, practically none. I might even shake up my usual routine when using the Urban Decay Smoky Palette and do my eyes last like you’re supposed to! The eyeshadow itself lasted really well on my eyes. I wore it for a full day at work and topped it off before I went out for the night. But truthfully, I didn’t need to! You ca create your own smoky eyeshadow right from your own home. For all you skeptics out there – yes, an all-natural way to make your own eyeshadow exists. We all know that if our makeup lasts overnight it’s great, but it means there are chemicals sinking into our bloodstream (sorry for the dramatics). Here’s a DIY Eyeshadow recipe so you know exactly what’s being absorbed into your eyelids. Place ½ teaspoon of Arrowroot powder into a small bowl. (Replace this with cornstarch if you can’t get hold of Arrowroot). 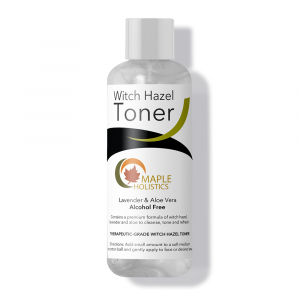 Arrowroot powder is a thickening agent with strong moisture-absorbing qualities. It cuts down that greasy feeling that you don’t want on your eyelids. The more Arrowroot you use, the lighter the color of the eyeshadow will be. 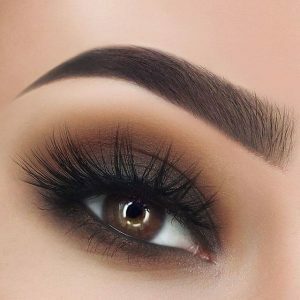 To achieve that smoky eye, add organic charcoal until you get the color you desire. Charcoal has become more popular over the last few years as its activated benefits have been discovered. 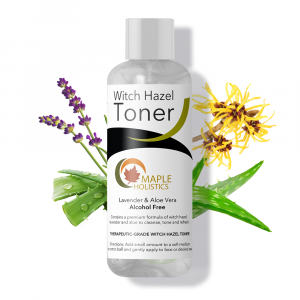 Here we’re using it purely for its rich color and pigmentation, but it is also used as a skin cleanser! Mix thoroughly until you get the color you desire. Although this recipe makes a darker colored eyeshadow, you can experiment with different powders and spices to create different colors! Once your color is evenly mixed add ½ teaspoon of unrefined Shea butter. Shea butter has ‘staying’ qualities to make the eyeshadow stay (didn’t see that coming) on your lids whilst also providing the moisture you need to balance the powder. Use the back of a spoon to push the butter into the powder against the back of the bowl. You want to end up with a soft, creamy powder. And that’s it! Shelf-life of home-made products are always more restricted than shop-bought due to their lack of preservatives. 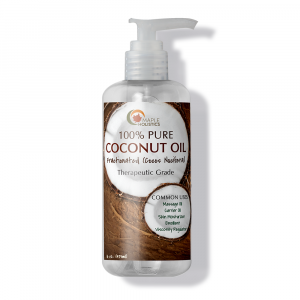 When you notice the texture of this cream starts to change its time to make a new batch! If you wouldn’t rate yourself as the next Van Gough, then proceed with caution when attempting the smoky-eyed look. 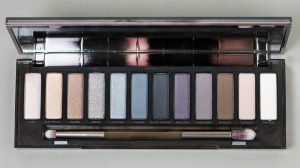 If you’re looking for that perfect palette to give you a seriously intense smoky eye, then Urban Decay Smoky Palette is the one for you. The color options mean you can opt for a lighter shade (if you’re just starting out) or a darker shimmer (if you’re basically an expert and want to show off). You can vary the intensity of this look between Kristen Stewart casual to Rihanna excess. Having said that, the chemicals that go into ensuring your eyeshadow is heavily pigmented and long-lasting is worrying. If you’re conscious about what you expose your body to then a DIY solution could be for you. 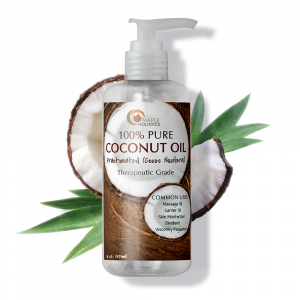 As with all at-home remedies, the success of the product relies greatly on your skin type and natural susceptibility to certain substances. This means that the durability and pigmentation of the DIY eyeshadows might be slightly less than average. Still, I personally prefer this to the shop-bought brands because it’s quicker to remove and easier to blend. And as we know – blending well is your secret weapon. If all else fails just opt for Amanda Seyfried’s un-blended, totally-intentional, cat-eyed alternative.